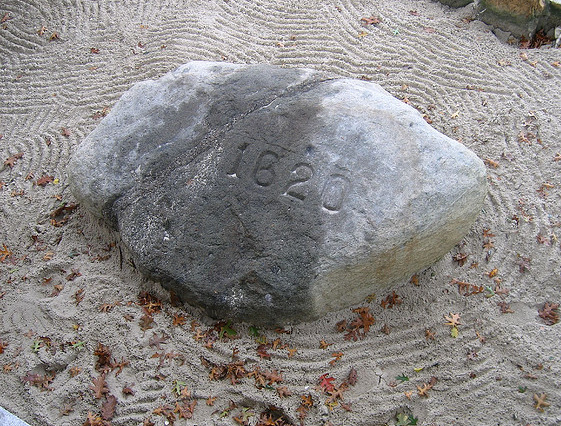 Plymouth Rock; photo by HM Larson on Flickr (noncommercial use permitted with attribution / share alike). The first successful English settlements were the Virginia Colony in Jamestown in 1607 and the Pilgrims' Plymouth Colony in 1620. The 1628 chartering of the Massachusetts Bay Colony resulted in a wave of migration and by 1634 New England had been settled by some 10,000 Puritans. Massachusetts also recognizes an official state rock (roxbury puddingstone), a building stone (granite), a glacial rock ("Rolling Rock"), an explorer rock (Dighton rock), a state mineral (babingtonite), and a state gem (rhodonite). 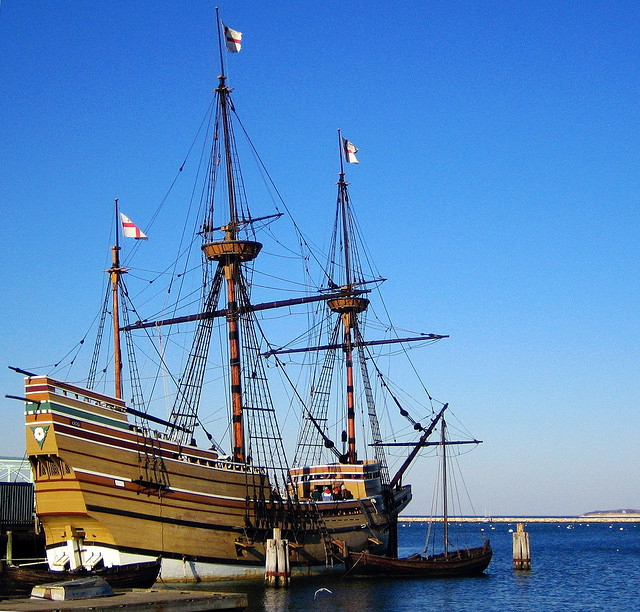 Mayflower II (full-scale reproduction of the original Mayflower); photo by Lisa Ruokis on Flickr (noncommercial use permitted with attribution / no derivative works). 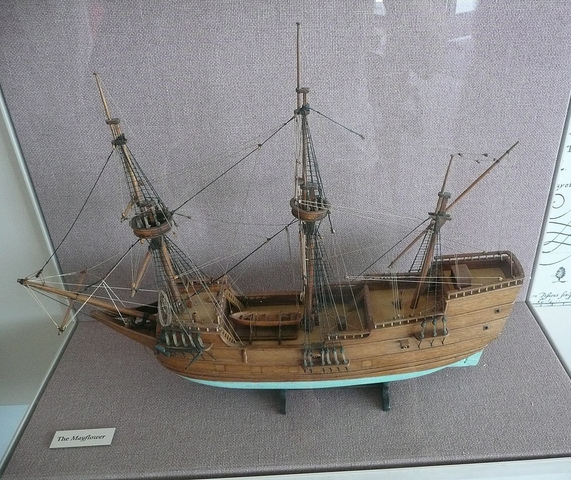 Model of the Mayflower (landed near Provincetown in 1620); photo by Matt Moritz on Flickr (noncommercial use permitted with attribution / share alike).